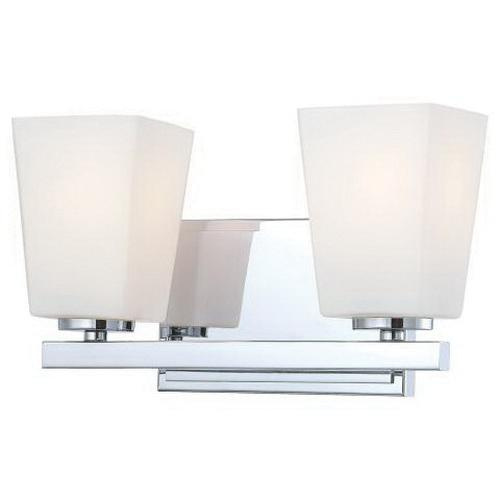 Minka-Aire City Square Collection Bath light features opal etched glass shade for elegance and accommodates two 100-Watt A-19 bulb lamps. Chrome-finished bath light has medium E26 socket. It measures 12.25-Inch x 7-Inch. This bath light fixture has 7-Inch lead wire for hassle-free installation.